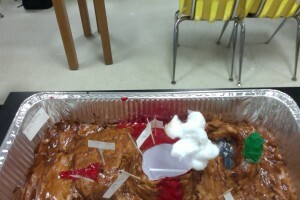 This is our group volcano for science, we did work hard but it still does not look as good as we hoped. I learned about symbols in our daily lives, doves all around, holy spirit all around. The Holy Spirit is a thing that fills us, and uses us to spread the word. The Holy Spirit is also something we should be baptized in, that another way that the Holy Spirit fills us. The Holy Spirit was also a part of creation, that it was he/she that was being created or creating i could not find the information on. The LORD is The Holy Spirit, which is not surprising because both are things we should follow and believe in. In the KJV The Holy Spirit is called The Holy Ghost, which i can believe, God has over 100 names and Jesus has a little over 50. The Holy Spirit is obviously in the old testament seeing that he was a part of creation. I feel like the holy spirit is working in my life by helping me show others how to be christians through my actions. It makes me feel like i can accomplish anything when it is with me. The Holy Spirit is the best thing you could have in your life. it would be great if we could all be one with the spirit. Now that i have shared my thoughts about the holy spirit i will now show it through the project. We could follow what he said and forgive others without thinking of what they did to you. enjoy the creation and everything he gave us intead of disliking the bad and liking the good. I have been learing again in math about adding fractions. it seems easy but it takes a while to get it. but as soon as you do its really easy. so you have 4/5 + 3/7 you would mulitiply 5 by 3 and 3 by 5 and have 4/15 + 3/15 and you would add those together and get 7/15. 7 divided by 15 = 5/10 1/2! I am doing math in 8th grade and their are some ways to use what im doing in real life. I am working on solving two step inequalities then graphing is. this can be used for finding the amount of something you need then graphing it to show your workers or helpers to get the amount they need to get done. like you need 20>x more than 20 apples. you would graph that on a number line and make it go above 20. circle 20 and color an line from 20 to the end of your number line and draw an arrow at the end to show its infinite. 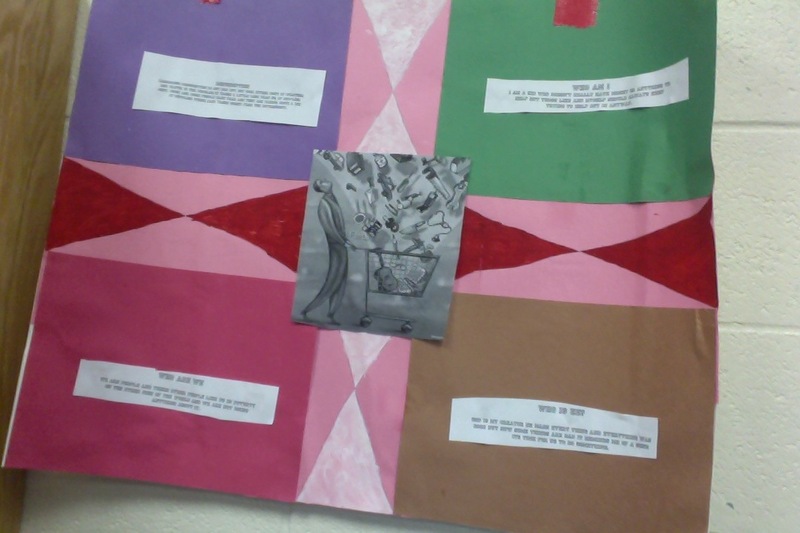 On thursday and Friday we did projects to learn more about what we know about Africa and how we can improve learning on Thursday one of my teachers put pictures up on the screen and we had to say on a paper if we think he or she was African or not, sometimes we get mixed up on african american and just plain African. The next day we put on a page on our computer what we see or think when we think of Africa most people wrote *PEOPLE* and we found out that was right it is a very popular place where people live very large place very large population. 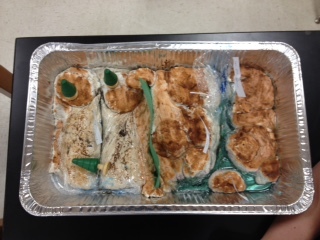 We studied why thing of the same mass and density float or sink (Full pop cans). I think that the diet Coke floats because it was set in gently and didn’t break the surface tention but the Mt. Dew sank because it was just dropped in and had enough force to break the surface tention of the water then can’t float up. The study of matter and how it changes. 1. Explain what you did in the density lab and explain why the property of density determines whether an object will sink or float. Also explain how can an two objects of the same size have different densities. Build a model of an atom including it’s parts and orbits.